The 18th week of Iran’s Persian Gulf Pro League was completely overshadowed by the collapse of the ageing high-rise, called Plasco Building, in downtown Tehran last week. Plasco Building came down after fire engulfed the top floors of the 17-storey high-rise on Thursday morning, leaving at least 25 feared dead and over 200 people injured, according to a report by IFP. 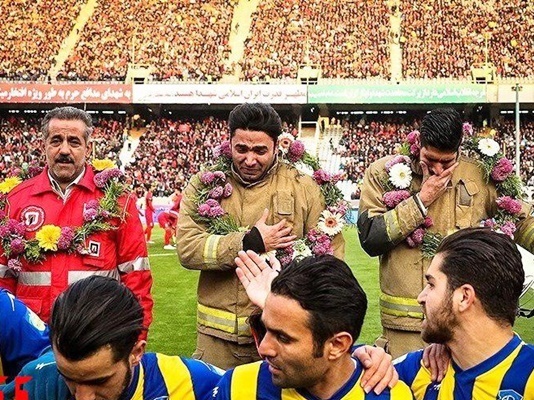 Four days after the sad event, on the sidelines of a number of the Iranian football league’s fixtures, players and coaches commemorated the heroism of the firefighters who either died or risked their lives to rescue their compatriots from the burning building. Iran’s football community on Monday sympathized with their families and showed respect for the lost firefighters. 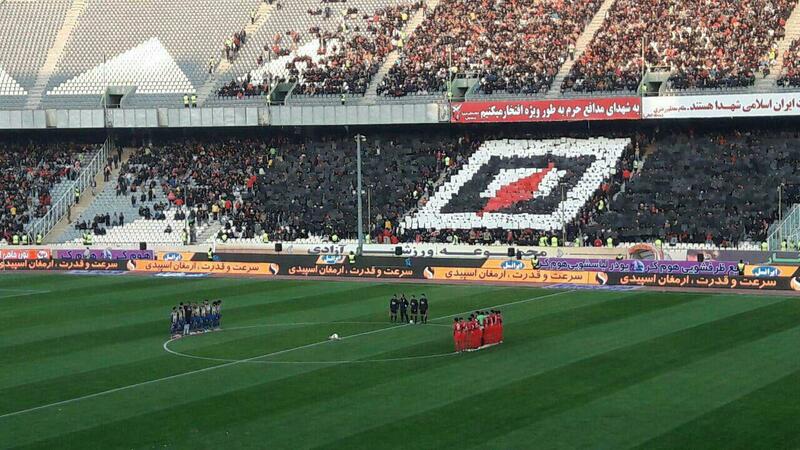 Players and fans observed a minute of silence prior to the start of the match between Tehran’s Persepolis and Tabriz-based Gostaresh Foulad club. Fans also displayed the logo of Iran’s Firefighting Department by holding coloured cards over their heads and performing a large card stunt. In the same match, a number of firefighters were honoured before the beginning of the game, one of whom could not hold back his tears in public. 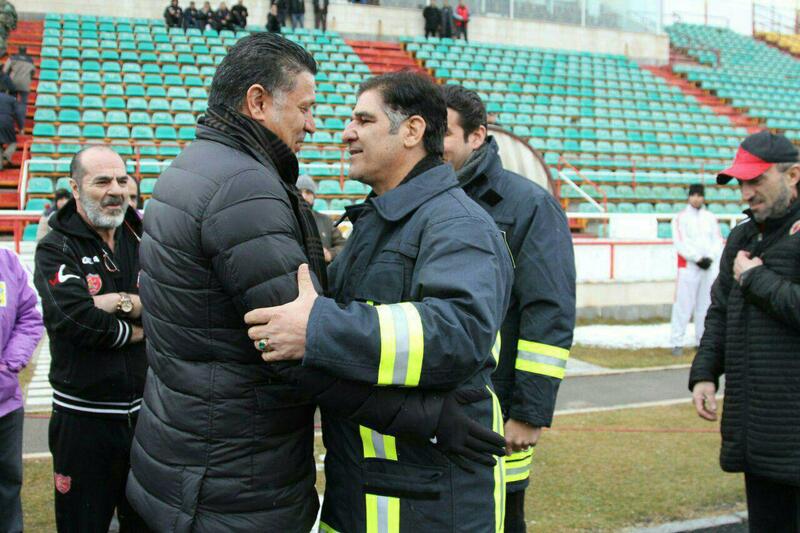 In another match between Mashhad-based Padideh club and Naft of Tehran, the latter team’s manager wore a firefighter’s uniform as sign of respect to the martyrs of the Plasco incident.